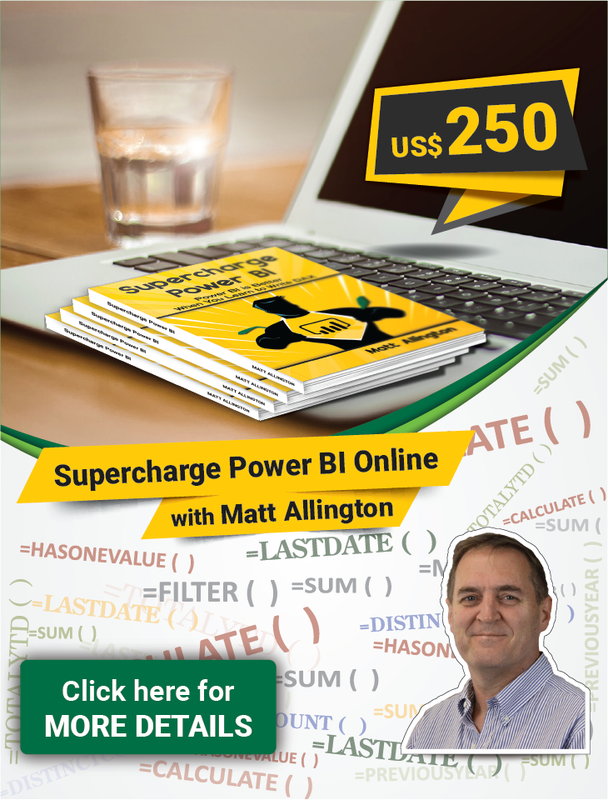 One thing I often get asked is “How do I create good looking Power BI Reports?”. This is a very good question and unfortunately the answer is not straight forward. I like to think of the visual appeal as the “Art” of communicating data insights. The other major consideration is “what and how” to communicate – I think of this as the “Science” of communicating data insights. If you assume these categories, then it implies that you need to possess both graphic design skills as well as data analytics skills to be the best in class in this space – a tall order indeed. Realistically most Power BI Desktop report authors are more likely to be into the science of data than the art, but that doesn’t mean you can’t improve the look and feel of your reports by compensating for any gaps in your artistic skill. There are at least 3 ways you can improve the visual appeal of your reports. Get someone else to do it for you (ie a graphic designer). I can think of at least one of my clients that always has stunning reports. When I asked why they look so good I was told the graphics department polishes the reports – well worth considering if you have access to such a resource. Do some formal training/learning – out of scope for this post. Here are a few sources I can think of for inspiration in learning from others. Every month Microsoft releases a new version of Power BI Desktop. Along with the update, Amanda Cofsky (it’s normally Amanda) produces a video demonstrating the new features in a sample workbook. In the month of Sept-18 I became curious about the appealing visuals that Amanda had in her sample file. See a screen shot below. Notice the inviting icons to the left of the report and along the top of the page. I immediately became curious and asked Amanda what she had done and how it worked. Amanda got back to me and I learnt a few things that I am sharing with you here. Firstly the sample workbooks Amanda uses are shared and available for download via GitHub. https://github.com/Microsoft/powerbi-desktop-samples/tree/master/2018 I couldn’t find this exact workbook, but the one titled Sept – New Format is pretty close and shows the concept. Secondly the really nice looking icons used above have come from https://www.flaticon.com/ . Don’t underestimate a bit of bling to make a report look appealing and inviting. Adding great looking clickable icons can make all the difference in reader engagement. This is another great resource for finding ideas about what other people are doing. The example below was developed by my friends over at Agile Analytics and demonstrates one of many ways to communicate data. Finally, many companies have corporate colour themes that they use internally for their commutations. You can use the custom themes feature of Power BI to create a standard theme for use across your Power BI reports. Mike and Seth have a great online tool to help you create your own custom theme if you like. I have a blog article that describe how to use the theme generator at https://exceleratorbi.com.au/changing-defaults-in-power-bi/ My article describes how to use the theme generator created by Mike and Seth and how to deploy the theme. Be aware that a custom theme in Power BI is not the same as in PowerPoint. A custom them only affects the visual styling of the objects in the report (colour, font size, border width etc). If you want to set a standard page background etc, you will need to create a Power BI template with a custom theme applied to it and go from there. I would love to hear from you about the places you use for inspiration for your Power BI reports. Please share your tips in the comments section below. Edward Tufte: Any of his beautiful books. But the point is, you’ve got to serve the mind first. For instance, before you stick up big donut charts displaying just a couple of numbers, consider if the user will be better informed if you put a sparkline in the same place showing trends across a couple of hundred or even thousand data points. Help users answer that important question “Compared to what?”. Then work out how to make it stylish. All my reports look like it was done with Excel 5.0. I really struggle with it. That side of my brain just isn’t effective. But beauty is in the eyes of the beholder. So I need to ask myself who is my audience? I would also definitely recommend reading Stephen Few, he makes a case for clean and simple design. As he says, show me the numbers!. Couple of his main points, use simple bar graphs, don’t overuse and use overly bright colors and all text should be in easy to read format. I struggle with most of the resources around this topic, are based on creating visuals at a single point in time, PowerBI is used to report data over time and during the lifetime of the visual the data may change thus the need to alter or change the visual over time. This is fascinating topic, and is worth exploring. Thanks so much for the call outs. Here are the two layouts that Amanda is using in the monthly blog releases. You’ll want to use this layout as the download from github only has one report page. This layout contains all 10 pages. What helped me the most in designing better solutions and better reports was taking some UI/UX courses. Data communication doesn’t follow all the rules of web or app design but we have a lot to learn from this well-developed field. By learning some of the fundamental design theories anyone can develop some basic rules that must be followed and keep adding other shiny design layers on top of them. For example, the visual presented above by PowerBI tips is using a powerful concept called the law of proximity which was defined by Gestalt psychology. Using the great resources you provided in this blog I’m going to look at other professional visuals and try to identify these key concepts so I can learn how to implement them in my future reports. I second don’t use extreme bright colors without cause. I learned the hard way. One thing I don’t think gets touched on too much is the size of the page. Most people leave it at default but I think this should change depending on how your main audience is consuming the data. If you’re producing a report that will be presented full screen then 16:9 is perfectly fine. However a report that gets used via Power BI service on a lower resolution laptop screen in conjunction with other programs makes viewing the report in full screen mode inconvenient. Having a lower resolution screen also makes the actual report viewing area comparatively smaller than when you’re looking at nice high resolution monitor. Any dead space caused by the report being fit to the available size is a real waste of valuable real estate. I found switching the page size to around 1280×540 will mean there is no unused space when viewing on my laptop on Power BI service in Chrome with both sidebars collapsed. My work laptop is 1366×768 which I believe is one of the most common laptop screen resolutions. This allows users to still easily switch between windows and get the maximum amount of usable screen space. Really good point Jack. I totally agree that this is an often overlooked opportunity.